Only 13 Miles! Boasts 31 Highway MPG and 22 City MPG! This Jeep Compass boasts a Regular Unleaded I-4 2.4 L/144 engine powering this Automatic transmission. WHEELS: 18" X 7.0" POLISHED/GRAY POCKETS ALUMINUM (STD), TRANSMISSION: 6-SPEED AISIN F21-250 GEN 3 AUTO (STD), TIRES: P225/55R18 BSW AS (STD). * This Jeep Compass Features the Following Options * QUICK ORDER PACKAGE 28G -inc: Engine: 2.4L I4 Zero Evap M-Air w/ESS, Transmission: 6-Speed Aisin F21-250 Gen 3 Auto , SAFE & SECURITY GROUP -inc: Rain Sensitive/Intermittent Wipers, Blind Spot & Cross Path Detection, ParkSense Rear Park Assist System, POWER LIFTGATE, POWER FRONT/FIXED REAR FULL SUNROOF, MONOTONE PAINT APPLICATION, ENGINE: 2.4L I4 ZERO EVAP M-AIR W/ESS (STD), DIAMOND BLACK CRYSTAL PEARLCOAT, BLACK, LEATHER TRIMMED BUCKET SEATS, BEATS PREMIUM AUDIO SYSTEM, Wheels: 18" x 7.0" Polished/Gray Pockets Aluminum. * Stop By Today * Live a little- stop by Winnie Dodge Chrysler Jeep Ram located at 125 Hwy 124, Winnie, TX 77665 to make this car yours today! Only 4,667 Miles! Boasts 25 Highway MPG and 17 City MPG! This Ram 1500 delivers a Regular Unleaded V-6 3.6 L/220 engine powering this Automatic transmission. WHEELS: 20" X 8" ALUMINUM CHROME CLAD (STD), TRANSMISSION: 8-SPEED AUTOMATIC (845RE) (STD), TIRES: P275/60R20 OWL AS (STD). *This Ram 1500 Comes Equipped with These Options * QUICK ORDER PACKAGE 22R LONE STAR -inc: Engine: 3.6L V6 24V VVT, Transmission: 8-Speed Automatic (845RE), Steering Wheel Mounted Audio Controls, Lone Star Regional Package, Sun Visors w/Illuminated Vanity Mirrors, Glove Box Lamp, Full Size Temporary Use Spare Tire, Lone Star Badge, Leather Wrapped Steering Wheel, Bright/Bright Billets Grille, Class IV Receiver Hitch, LED Bed Lighting, Overhead Console w/Garage Door Opener, Universal Garage Door Opener, USB Host Flip, Google Android Auto, HD Radio, Media Hub (2 USB, AUX), 8.4" Touchscreen Display, Apple CarPlay, SiriusXM Satellite Radio (subscription required) No satellite coverage in Hawaii or Alaska, Electroluminescent Instrument Cluster, ParkSense Front/Rear Park Assist System, Exterior Mirrors Courtesy Lamps, Auto Dim Exterior Mirrors, Exterior Mirrors w/Supplemental Signals, Rear Dome w/On/Off Switch Lamp, Power Heated Fold-Away Mirrors, Air Conditioning ATC w/Dual Zone Control, Rear View Auto Dim Mirror, Remote Start System , MONOTONE PAINT -inc: Headlamp filler panels and door handles are black when ordering special low volume paints, GVWR: 6,800 LBS (STD), ENGINE: 3.6L V6 24V VVT -inc: Flex fuel capable (STD), DIESEL GRAY/BLACK, PREMIUM CLOTH 40/20/40 BENCH SEAT -inc: Power Lumbar Adjust, Folding Flat Load Floor Storage, 115V Auxiliary Power Outlet, Front Center Seat Cushion Storage, Rear 60/40 Split Folding Seat, Power 10-Way Driver Seat, BRIGHT SILVER METALLIC CLEARCOAT, 3.21 REAR AXLE RATIO (STD), Wheels: 20" x 8" Aluminum Chrome Clad, Vinyl Door Trim Insert, Variable Intermittent Wipers. * Visit Us Today * Test drive this must-see, must-drive, must-own beauty today at Winnie Dodge Chrysler Jeep Ram, 125 Hwy 124, Winnie, TX 77665. Only 19 Miles! Boasts 22 Highway MPG and 15 City MPG! This Ram 1500 delivers a Regular Unleaded V-8 5.7 L/345 engine powering this Automatic transmission. WHEELS: 18" X 8" PREMIUM PAINT CAST, TRANSMISSION: 8-SPEED AUTOMATIC (8HP75), TRAILER TOW GROUP -inc: Power Black Trailer Tow Mirrors, Trailer Brake Control, Trailer Tow Mirrors, Class IV Receiver Hitch, Exterior Mirrors Courtesy Lamps, Exterior Mirrors w/Supplemental Signals. *This Ram 1500 Comes Equipped with These Options * QUICK ORDER PACKAGE 25A TRADESMAN -inc: Engine: 5.7L V8 HEMI MDS VVT, Transmission: 8-Speed Automatic (8HP75) , TRAILER BRAKE CONTROL, TRADESMAN LEVEL 1 EQUIPMENT GROUP -inc: Rear Power Sliding Window, Carpet Floor Covering, For More Info, Call 800-643-2112, Front & Rear Floor Mats, SiriusXM Satellite Radio (subscription required), TRADESMAN GROUP, ENGINE: 5.7L V8 HEMI MDS VVT -inc: Hemi Badge, 180 Amp Alternator, Heavy Duty Engine Cooling, Active Noise Control System, CLASS IV RECEIVER HITCH, CHROME APPEARANCE GROUP -inc: Grille Chrome Outline 1 Texture 1, Bright Rear Bumper, Bright Front Bumper, Wheels: 18" x 8" Premium Paint Cast, BRIGHT WHITE CLEARCOAT, BLACK, CLOTH 40/20/40 BENCH SEAT -inc: 3 Rear Seat Head Restraints, 3.21 REAR AXLE RATIO (STD). 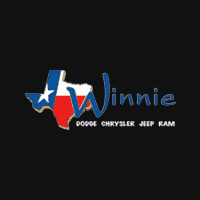 * Visit Us Today * A short visit to Winnie Dodge Chrysler Jeep Ram located at 125 Hwy 124, Winnie, TX 77665 can get you a dependable 1500 today! Only 6,494 Miles! Boasts 23 Highway MPG and 17 City MPG! This Ram 1500 delivers a Regular Unleaded V-8 5.7 L/345 engine powering this Automatic transmission. WHEELS: 20" X 9" ALUMINUM CHROME CLAD, TRANSMISSION: 8-SPEED AUTOMATIC (8HP75), TRAILER TOW GROUP -inc: Power Black Trailer Tow Mirrors, Trailer Brake Control, Trailer Tow Mirrors, Add Class IV Receiver Hitch, Exterior Mirrors Courtesy Lamps, Exterior Mirrors w/Supplemental Signals. * This Ram 1500 Features the Following Options * QUICK ORDER PACKAGE 27Z BIG HORN/LONE STAR -inc: Engine: 5.7L V8 HEMI MDS VVT eTorque, Transmission: 8-Speed Automatic (8HP75), Steering Wheel Mounted Audio Controls, LONE STAR PACKAGE -inc: Lone Star Badge , TRAILER BRAKE CONTROL, TIRES: 275/55R20 ALL SEASON LRR, SINGLE DISC REMOTE CD PLAYER, REMOTE START SYSTEM, RADIO: UCONNECT 4 W/8.4" DISPLAY, PREMIUM LIGHTING GROUP -inc: LED Taillamps, Front LED Fog Lamps, LED Reflector Headlamps, PARKSENSE FRONT/REAR PARK ASSIST W/STOP, GVWR: 6,900 LBS. * Stop By Today * Test drive this must-see, must-drive, must-own beauty today at Winnie Dodge Chrysler Jeep Ram, 125 Hwy 124, Winnie, TX 77665.